Puppet Show Theater Photo Prop 3' 1" x 25" - Dino Rentos Studios, INC. 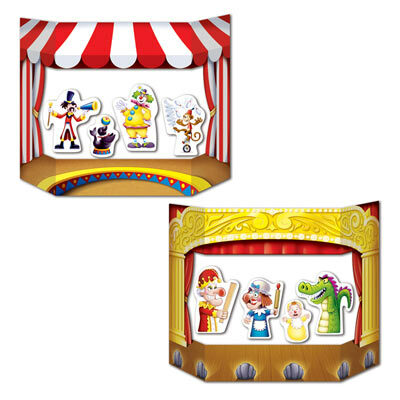 Printed on both sides with different designs: 1 side circus; other side puppet theater. Great for photo-ops at parties and other interactive events!